The Hive Pass pilot program, an innovative and experimental transit pass idea–the first of its kind in the country–will conclude the initial phase of study and sales on Tuesday, Sept. 30 and move into an analysis and evaluation period. 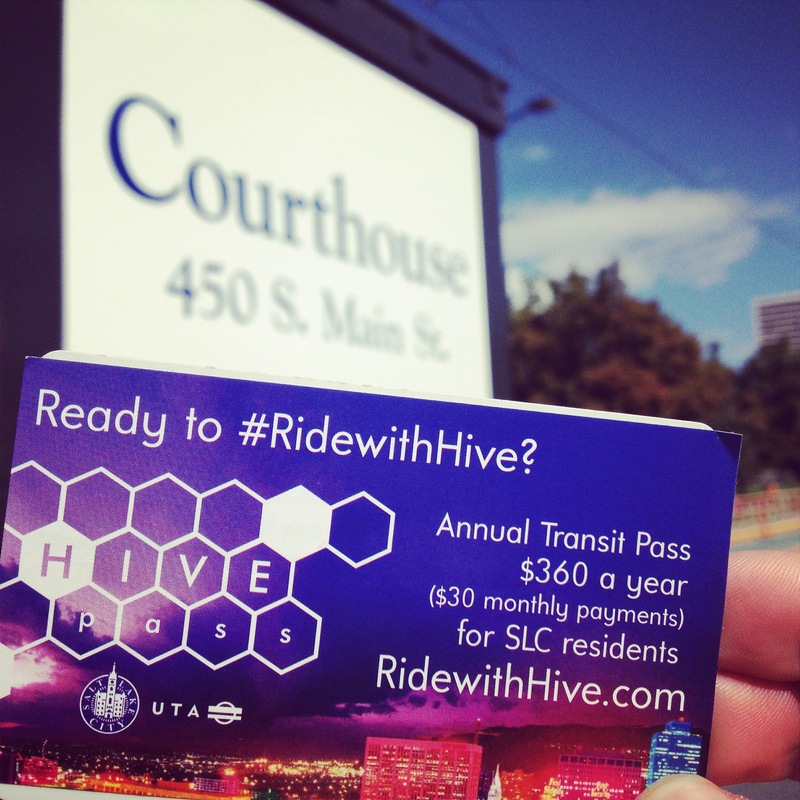 The Hive Pass allowed Salt Lake City residents to purchase an annual transit pass at a significant discount. Hive Passes will remain on sale through Tuesday at three locations in Salt Lake City. Visit http://www.ridewithhive.com for details. Residency verification is required. Mayor Becker originally proposed this unique idea to UTA as part of his Administration’s ongoing work to mitigate air quality issues by addressing the largest contributor to dirty air–vehicle emissions. The program also sought to provide better access specifically for lower income residents by making a monthly payment plan available and by initiating a voucher program to invite broader participation from a variety of organizations. Some 100 passes were distributed to residents in need through the voucher program. Per the terms of the agreement between the City and UTA, the two agencies will now enter into an evaluation period in which both entities will work together to process all of the information collected during the pilot, evaluate the pilot and make recommendations about how to apply what’s been learned from the experiment going forward. While regular Hive Passes will not be available during this evaluation, the voucher program will continue. ← Grow your own community garden!